What a week. As I explore cover designs for my Kimcheelicious ePUB cookbook, I’m also exploring the possibilities of expanding product by forming a fermentation company. This is literally my eighth cover design but it seems to be getting closer to what I feel the book should be. Meanwhile I have to re-tool my PowerUp business submission before April 19. As a one-man team I have a lot of work ahead of me. Kimcheelicious: Korean Tapas for the American Table will launch (soon...) as an interactive PDF. I have over 60 true-tested recipes but I think 50 should work better for an ePUB format. I still have literally over a thousand photos to edit and process. There’s always time for a second book, but I’m eager to launch this first one. eBook, iBook, app... as I explore other technologies, I see their limits in terms of how they work with photography and charts graphics. I plan a text-only eBook soon after I launch this first book. 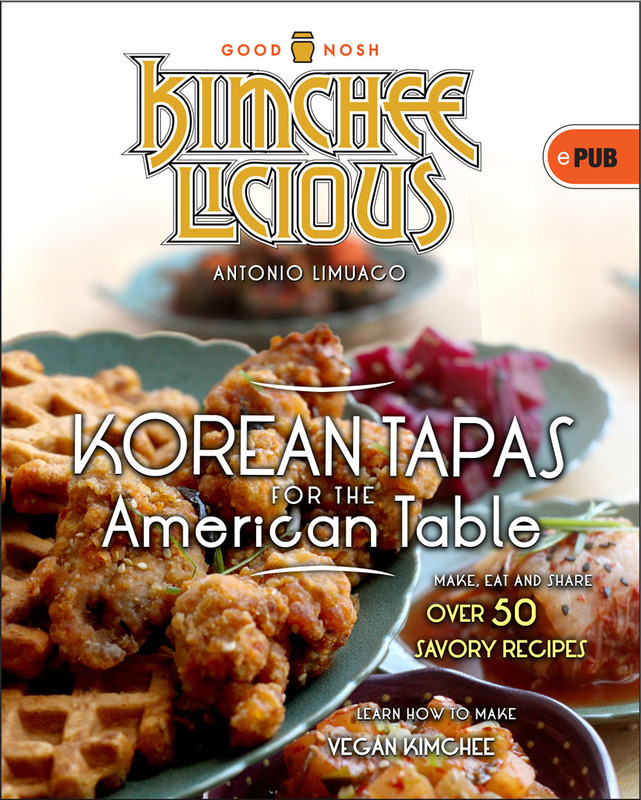 Meanwhile, Kimcheelicious Foods is a green company that manufactures vegan fermented goods for the American market. Korean food is here to stay and kimchee is becoming a regular part of a health conscious American diet. Currently I’m selling to restaurants and food manufacturers with good success, but there’s a limit to what I can make in the walk in fridge at Freddy’s Bar. How do I go retail an what will it take? I’ve had some great discussions with my friend Bill Covaleski of Victory Brewing Company and some of his colleagues. It’s feasible... but it sure takes a lot of money to get it going. This Thursday I have an appointment with a business counselor at Pace University to discuss corporate entities and New York incorporation.